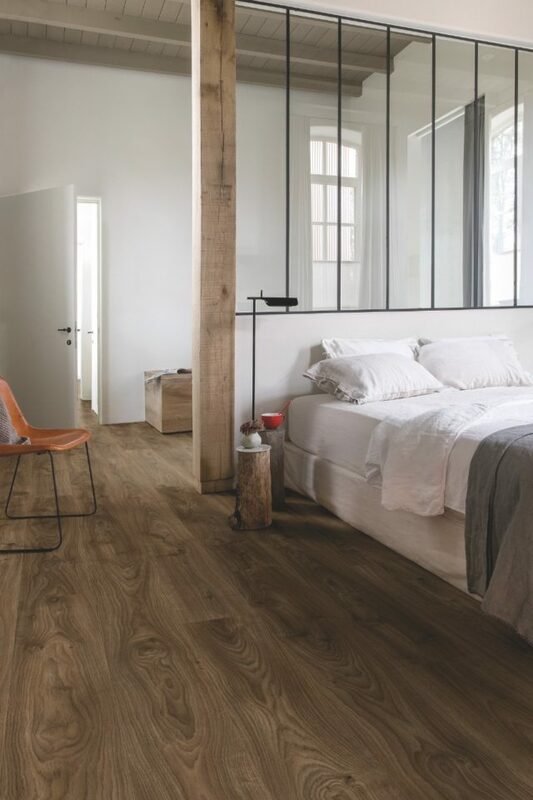 Milk clouds seem to dissipate in black coffee on the surface of this eye-catching and elegant luxury vinyl floor from Quick-Step. 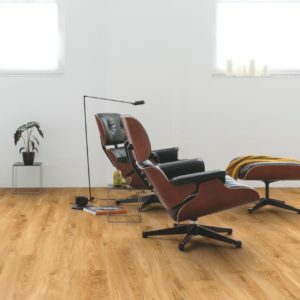 Ideal for adding a stunning tone to a more understated décor, this floor will surely stand out in any interior, from classic to ultra-modern and everything in between. 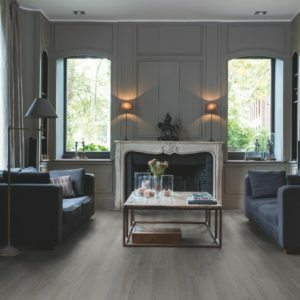 The more intense colour palette and the striking solid oak features that include knots, unique markings, and lovely grain textures will transform any average room into an unforgettable living space. 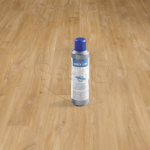 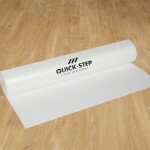 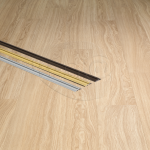 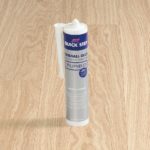 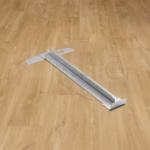 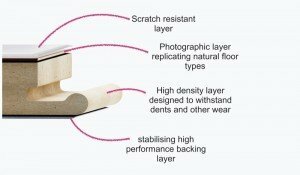 The waterproof construction means that the floor can be installed in bathrooms or kitchens worry-free. 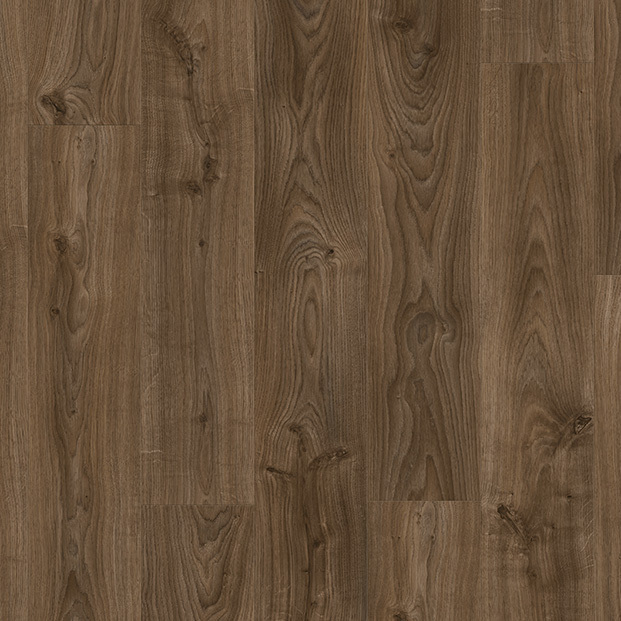 Softer and quieter underfoot than a solid wood floor, Cottage Oak Dark Brown BACP40027 will not only enhance the appearance of a modern home, but it will also increase its comfort level at the same time.